For more than 20 years since the pharmacy programme was established, significant progress has been achieved mainly in research and development (R & D). One of the fastest growing research areas is drug and herbal research. 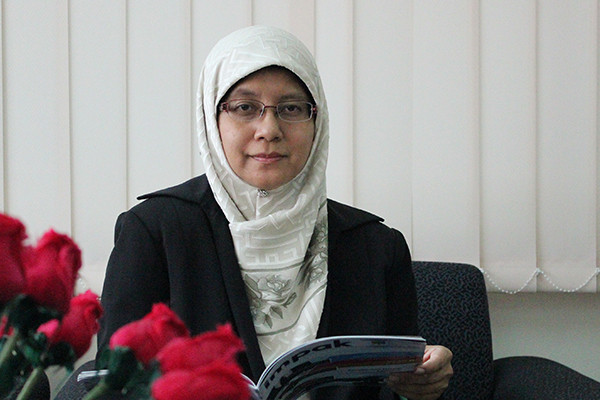 The Drug and Herbal Research Centre (DHRC), Faculty of Pharmacy, was formed in 2010. It is recognised as one of the reference centres for drug and herbal research in the region. Malaysia is one of the gold mines of natural products derived from natural resources owing to the richness of Malaysian tropical flora and fauna. Natural bioresources play an important role in health care industry as medicinal plants and animal products have long been known for their therapeutic and curative properties for variety of ailments. They have been used widely for general well-being and nutritional purposes. However, despite their beneficial properties, these products are not free from toxicity and unwanted effects. Hence, the need to obtain scientific data with regard to quality, safety and efficacy of these products is increasingly in demand as more people are opting for medicinal plants and animal products as complementary medicines and health supplements. Scientists of the DHRC realised that many of these valuable commodities are still left undiscovered and hence inspire them to venture into this frontier. Various natural product research activities are ongoing at the DHRC laboratories. Among them are extraction and isolation of novel compounds, determination of various bioactivities, establishment of standardisation procedures, structure activity relationship studies, and rational modification and synthesis of active compounds. To become a pacesetter and play as global partner in drug discovery research and development (R & D) based on bioactive natural products. 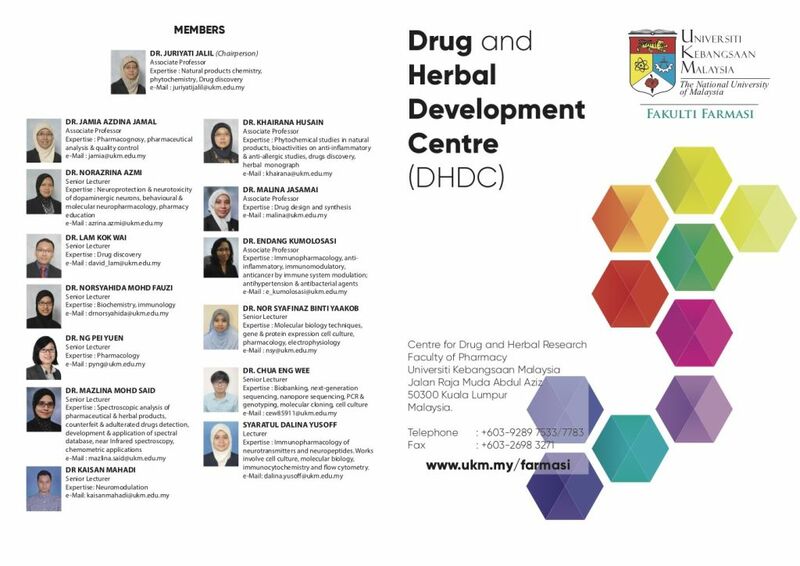 Drug and Herbal Research Centre (DHRC) focuses on the identification of chemical leads from tropical flora and fauna for specific therapeutic efficacy leading to the development of new drug candidates against complex and challenging drug targets prior to clinical trials and evaluation of herbs and their products for quality, safety and efficacy as therapeutic agents. To discover lead structures from natural product for development into various therapeutic agents. To evaluate herbal raw materials and products for their quality, safety and efficacy. To conduct high quality, collaborative and interdisciplinary research in drug discovery and development. To obtain and lead research grants in niche research areas related to identification of lead compounds for development into drug candidates and development of herbal medicine into high quality, effective and safe products. To establish research and academic networking and collaboration nationally and internationally. To publish manuscripts in high impact factor journals and strive for patentship of research products. To showcase and strengthen recent research findings through seminars, conferences and forums. To strengthen research capacity of human resources through postgraduate training, post-doctoral attachment and organising workshops.